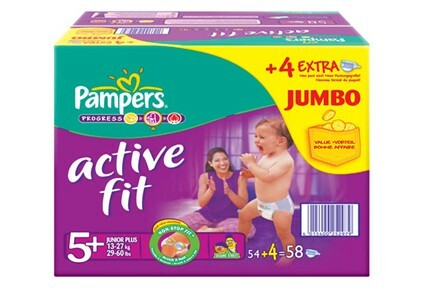 It’s important to do your Pelvic Floor Exercises and keep a stock of super large diapers! So recently after work a friend/colleague and I decided to have a drink after work. I haven’t had a drink since early 2009. I haven’t had a night out without my kids since then either. I was really nervous about a hen night I had to attend the following evening. A mixture of nervousness about leaving Toddler Child for the first time ever combined with whether I still had it in me to be an adult. Could I even hold a conversation that didn’t include talking about Elmo, Teletubbies or Iggle Piggle? I had no idea. So Friend and I decided a nice evening drink to “warm up” and get me in the mood would be a great idea. Let me paint the picture here for you. Summer had started and we were already well into warm summer evenings. We’d had a hard week, so eager we were to get out of that prison they call work. Into the car we got and decided…. you know what, let’s crack a bottle of vino open. At first we were just going to get my kids and go home but the evening was so lovely there was no other option. We HAD to get a picnic together, get the wine, get the kids and head to the beach. So there we were. Having a lovely time at the beach. I had the irresistible urge to pee! Oh God! Oh God! Oh God! Not a toilet in sight, I stepped up my pace. But you know how it goes, the closer I got to an amenity the more I had to go. I was now doing a brisk walking almost run. Well as fast as one can go whilst trying to clench one’s thighs together. I considered just stopping and sitting in the middle of the walkway but that wasn’t an option either. I would have looked mad. Looking back now, how much crazier could I have looked with my funky stride? I soldiered on though. As I walked past the giant superstore I considered the logistics of getting in and up the stairs to the bathrooms there but there wasn’t time. The more I thought about how close I was to it was the more I wanted to go. I would pee myself if I tried to get up there. I broke into a full on run. Toddler Child squealed with delight as her buggy tossed and careened over pot holes and pavements. She thought this was a bloody game!!! This was no laughing matter. How the wheels didn’t fly off the darn thing was beyond me. I’m sure this is the root cause of that annoying squeeling noise coming out of the wheels now! I managed to make it into my car park but the urge was beyond irresitable now. I can’t make it up the stairs. I quickly calculated the time factor. I could leave Toddler Child strapped in and unattended at the bottom of my endless flights of stairs to the apartment and make a dash for it. I could grab her out and abandon the buggy and dash. Hell, I even looked up and around at the windows. Was anyone looking? I could go right here. Shishkebabs!!!!! All the windows were open. Everyone else was revelling in the beautiful summers night and were doing the same as I had been till it all went wrong. They were all on balconies or near windows. A few of them even waved at me. I quickly dismissed that idea. I had to do something though. Fast. Then I spotted the car! I had to sit. NOW. Clenching my legs together and doing some kind of strange hopping on the toes of my right leg only, left leg wrapped around my right knee, I unlocked the car door and sat down. OMG! The relief……. Toddler Child still sitting but now waving her legs frantically and shouting “More! More!” Holy Moses! She still thought this was some kind of game and wanted me to get out and run with her again. I couldn’t do that. I couldn’t move. I knew the relief would be short lived and I still had to get upstairs. I just couldn’t figure out how. The buggy was now edging away from the car with her leg shaking thing and I had to get out and get to the bathroom but I was paralysed. Have you ever felt like you were duct taped to something? Well I was duct taped to that seat. I reached out to grab the buggy and caught the diaper bag instead. And it occurred to me. The solution was simple. I know, I know! Bad idea but I had no choice. I looked up to see if any of the revellers in the on looking apartments could see me. I think I was safe. I grabbed a diaper and ripped down my pants. I couldn’t get the darn thing round me fast enough. I didn’t even care who could see now with relief so close. And there I was……. Having a pee in Toddler Child’s diaper. Note to you ladies out there….. They’re serious when they tell you to do those pelvic floor exercises. I couldn’t control the flow. So fast was the relief the diaper was not as effective as I had hoped….. These things are NOT designed for giant sized and super flow pees. Never mind….. I only have to get up the stairs now. I vow however to make Toddler Child start wearing the larger size despite the fact that you get 6 less in the pack, I sorted my pants situation out and headed in. The back of my shorts were soaking wet. I’m sure I smelled but I only had to get upstairs and into the house. CRAP! Middle Child was at the neighbour’s though. I had to get her. CRAP! CRAP! CRAP! Nothing for it now though. I rang the bell and tried to stand as far away as possible hoping I looked like I didn’t want to be invited in. Neighbour comes to the door and turns his nose up. I gave him a knowing look and glanced at the toddler. Maybe I could blame this on her surreptitiously. Toddlers smell all the time right? But he wanted to talk. Of all the bloody days to want to get chatty he had to choose today right? That’s called MY luck! Middle Child appeared and came out as Neighbour kept talking. How was I to leave? I had no choice. I couldn’t turn around….. I had to walk backwards. Away from the doorway and toward mine. That’s normal though right? People do that all the time. I couldn’t let him see the patch at the back of me so I carried on despite his strange looks. Never in my life have I been so happy to see my door, my shower and my washing machine……. I also started a strict regime of pelvic floor exercises that night and just in case….. I buy larger diapers for Toddler Child in case I need to “borrow” one now! Apologies….. I fell off the grid! Sisters….. don’t beleive a thing they say!!! Time for some (not so) SENSEless humour!!! They’re not dumb…. you are. Have some SENSE!